I have a super great old friend from college, Jen. She’s a writer (here’s her book) and a journalist. And a mom. She lives in Des Moines and recently she acquired chickens. She and her husband and her kids have chickens in their backyard. Here it comes. The Existential Chicken Crisis. Uh oh. Existential Tomato Crisis. There are times — many times — when I have wished I were a moron. 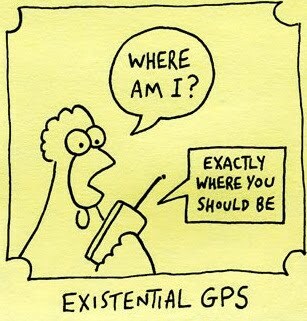 Existential Chicken Crises are definitely one of them. “OH wouldn’t it be so much easier if I were an idiot and didn’t notice ANYTHING at all and could just work as a waiter forever, and then come home and roll around mindlessly on my Made in China sectional, right after I put ALL of the wrappers from my fast food — include the recyclable and compostable ones — in the trash can? Then I have to say no to myself. My days of waiting tables and eating quesadillas at midnight — for the most part– are over. That’s fine with me. It’s just then I have to DEAL with the new information. I have to DECIDE: am I going to be a person who hosts chickens in MY backyard, or am I going to keep buying them from the chicken factory? Once new information seeps in, it makes just living a decent life a tussle. I don’t think it’s keeping up with the Joneses so much. It’s keeping up following our own ideology: what our family wants to be.